● Lenox does not release discount coupon codes; rather, it publishes active discounts on particular product categories directly on its website. It’s easy to find these offers - simply look for the red banner found under the upper navigation tabs. ● Almost all items featured under each category and sub-category have been price reduced. Discounts average 20-40% although shoppers can enjoy as much as 50% savings on some items. ● Overstock items also offer up to 70% savings. Lenox also features its latest best-value merchandise on the same page for a limited time. Shoppers can take advantage of featured items with discounts reaching up to 85%. 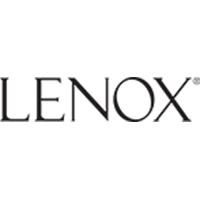 ● Lenox offers free standard shipping on orders worth $69 and more. Lenox Fine China has been offering goods made from fine china since 1889. Visitors can shop by category by clicking on either the tabs or the pictures. Shipping is free on all orders over $69. The Lenox umbrella covers several other well known brands like Reed and Martin, Scalmandre and Dansk which visitors can shop by clicking on the corresponding tabs at the top of the homepage. There is a “last chance” tab that users can click on to find the best clearance sales and deals. At the landing page there is a “today's special offers” that users can click on to navigate to special offers for the day. For most up to date offers check out Lenox on Facebook and Twitter or contact Lenox Support for any questions.